Material: Aluminium Alloy + Non-stick Coated; Came in 3 Pcs (7.9",9.4",11"). Non-stick coating, durable, re-usable, environmental and healthy. Removable base tray is convenient for quick removal,cooling and easy clean-up. 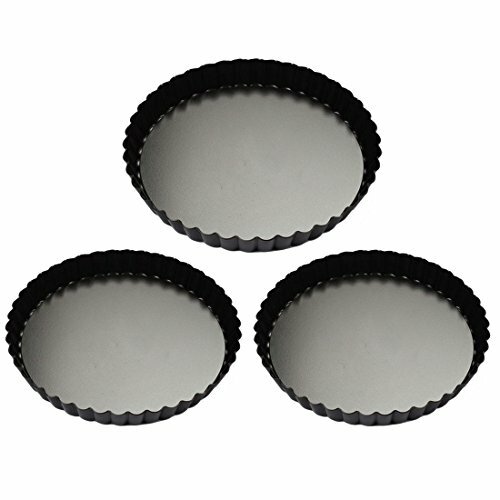 Suitable for cooking fruit pie, pizza, quiche, tart, cheese cake and more desserts. Notice - Hand wash with mild detergent. If you have any questions about this product by Yamix, contact us by completing and submitting the form below. If you are looking for a specif part number, please include it with your message.